Telemedicine in California dates back to 1992 when The University of California–Davis established a telefetal monitoring link between the UC Davis Medical Center and a community hospital in Colusa. Since then, telemedicine in California has dramatically expanded. 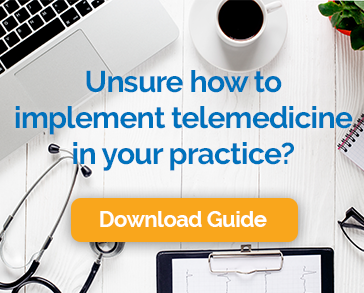 To keep up with the high demand for such services, California legislators and the State Medical Board have stepped in to provide regulatory support and guidance around the practice of telemedicine. In some states, an in-person physical examination is required before practitioners can legally offer telemedicine care to patients. This is not the case in California. Healthcare providers may establish patient relationships through telemedicine and prescribe non-controlled substances. Dispensing “dangerous drugs or devices” may be done over telemedicine, provided an in-person examination is done first. Who may provide telemedicine care in California? All professionals licensed in California under Division 2 of the state’s Healing Arts statute are able to provide telemedicine care to patients. This includes, but not limited to, physicians, nurses, dentists, chiropractors, speech pathologists, registered dietitians, occupational therapists and licensed midwives. Who may receive telemedicine care? Any patient who has given informed consent is eligible to receive remote care, unless the healthcare provider deems it inappropriate. Controlled substances may not be prescribed over telemedicine unless a prior physical examination has been performed. Patients must provide either written or verbal consent to receive telemedicine services in the state of California. This consent must be appropriately documented in the patient’s medical record. In California, healthcare providers may offer care through any of the above methods. However, they may not be reimbursed for all forms of care delivery. Currently, Medi-Cal only reimburseses for synchronous videoconferencing. Store-and-forward, RPM and telephone care delivery are not reimbursable services through Medi-Cal. Medi-Cal also does not limit the patient site or geographic location and documenting a barrier to in-person care is no longer required. Essentially, providers may offer remote care through videoconference to a patient at any location and be reimbursed for that service. Medicare reimbursement for telemedicine is highly nuanced and requires practitioners to satisfy several requirements in order to be reimbursed. To learn more about these requirements, visit our Medicare reimbursement page. There is, however, one program through which providers are broadly reimbursed for telemedicine care: The Medicare Chronic Care Management Program. Providers are able to receive $42 per patient per month for providing 20 minutes of additional clinical time to patients with two or more chronic conditions. This can be done remotely through telemedicine. There are no patient site requirements or geographic limitations that determine whether or not practitioners are reimbursed. Section 1374.13 of the California Health & Safety Code mandates that private payers reimburse practitioners for synchronous videoconferencing. However, they are not required to reimburse for any other forms of care delivery, such as RPM or store-and-forward. California is ahead of the game when it comes to telemedicine regulations. Both Medi-Cal and private payers reimburse for synchronous videoconferencing, whether the patient is in a rural area or not. Even if the patient is located at home, providers are still reimbursed. Furthermore, documenting barriers to care are not required. California has made it easy for healthcare providers to be reimbursed for telemedicine care, so why not give it a try? For more information on incorporating telemedicine into your practice, visit our telemedicine for outpatient clinics page.